Last night on Dancing With The Stars All-Stars the three remaining couples, Kelly Monaco & Valentin Chmerkovskiy, Melissa Rycroft & Tony Dovolani and Shawn Johnson & Derek Hough proved they deserved to be in the finals. The three couples performed their favorite routine from the season, as well as a Super-Sized Freestyle. For their Freestyle, they’ll be allowed to add extra performers, incorporating all kinds of lifts and tricks to create an out-of-this-world entertaining routine. On the final tonight, the excitement will continue with all of this season’s eliminated couples returning to the ballroom, performing memorable routines of the season. And in the final element of the competition on Tuesday, the three finalists perform an Instant Dance routine. They’ll be given their music and dance style just minutes before they must perform live to complete the judges’ scores. By night’s end, one couple will be crowned champions of this all-star season. Tonight’s episode is going to have all the usual glitz and glam in the ballroom, which you won’t want to miss. 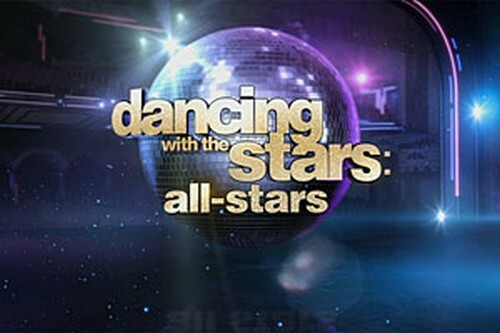 So be sure to tune in for our live coverage of ABC’s Dancing With The Stars All-Stars Week 10 FINALE – tonight at 8PM EST! THE WINNER OF DANCING WITH THE STARS ALL-STARS LIVE RECAP HERE! Bachelor Spoilers: Find Out Who Sean Lowe Proposed To, Plus Runner Up!